With her permission I am posting this tremendous article written by my friend Alison Fisch Katz. It assesses the root causes of modern-day terror as well as her thoughts on what needs to be done. This is truly a MUST READ. 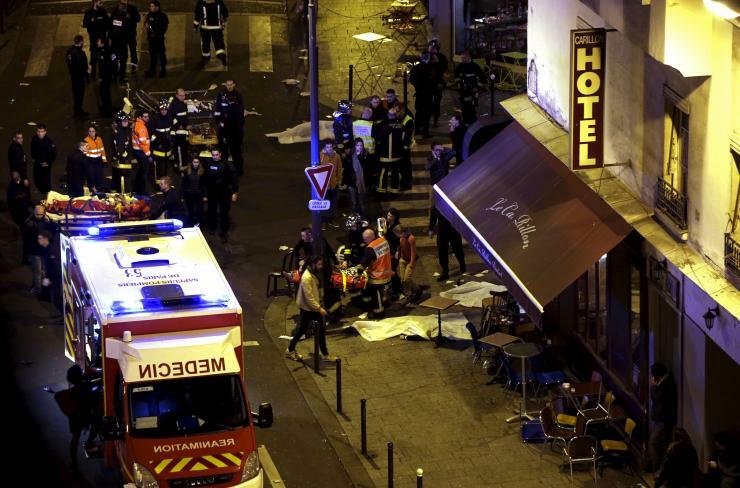 Yesterday’s attack on Paris did not emerge from a groundswell of socio-economic unease by local Muslims. To the contrary, people who migrate in order to better their situation are interested in survival and invest in their contribution to their adopted country. In fact they are usually beacons of the pluralistic ideal. Without losing their ethnic identity, they manage to take on local mores, excel in the education system, and often reach the highest political and cultural echelons of society. This is certainly true of Jewish & Indian Britons, Algerian French, & African Americans. Economic or social unease doesn’t usually lead to terrorism. Terrorism such as that witnessed by Parisians yesterday was indeed orchestrated by 8 members of ISIS who managed to cross the border via Germany together with the swathes of Syrian refugees currently swamping European borders. The war that the continent is now facing must be recognised as ideological in nature, based in a religion that is incompatible with western ideas of individual & democratic freedoms. The radical Islam that ISIS and similar groups espouse seeks to vanquish “infidel” communities from the world. They even say so. You just have to pay attention to their own published charters. Israel has long contended that the EU should not ostracize but rather embrace our efforts in the middle east because we know that the war we battle every day is not in fact territorial but religious. If the Israel/Palestinian conflict were about territory it would have been solved decades ago. Jerusalem itself has been on the negotiation table no less than 3 times, and each time was rejected outright by the Arab side. In kind, had the EU recognised the long term unstabling effects of the tribal war in Syria between the Allawis, Sunnis and Shiites (ISIS are Sunnis) and taken steps to curb it, it is possible that the great migration of this century could have been prevented and they would be far better equipped to deal with the wave of terror that radical Islam has unleashed. But it’s not only nations ISIS wishes to take over. It is also – in fact primarily – western ideas that they seek to uproot. Those ideas are embedded in the great symbols of European history: the Eiffel Tower, the Louvre, Place de la Republique to name just a few that immediately come to mind. France & Europe needs to either take fierce and unpopular steps to protect its heritage, or gird up the Arc de Triomphe and bury Leonardo’s Mona Lisa in a bunker somewhere until this dark age passes. This entry was posted on Sunday, November 15th, 2015 at 12:35 pm	and tagged with Algerians, France, ISIS, Muslims, Paris terror attack and posted in Uncategorized. You can follow any responses to this entry through the RSS 2.0 feed.